A psychiatrist who took the stand Wednesday in the case of accused WikiLeaks source Bradley Manning said he had previously diagnosed the soldier with gender identity disorder. In his testimony during the sentencing hearing, Cpt. Michael Worsley, a psychiatrist who treated Manning, said that he had diagnosed the leaker of classified U.S. info with gender identity disorder in May 2010. Worsley added that based on the military's unfriendly views towards the gay community at the time, he wanted Manning to be "chaptered out," (a form of discharge) in order to handle his identity issues away from military culture. "The military [wasn't] exactly friendly toward gay community or anybody that held views as such," Worsely said. Manning reportedly came out to Worsley and sent the doctor pictures of himself dressed as a woman via email. Questions about Manning's mental state have been brought up by his defense team during earlier portions of the trial. On Monday, his attorneys relayed stories of Manning flipping a table and reaching for a gun before being restrained during counseling sessions that occurred around the time of the information leaks. The defense is arguing that Manning's superiors ignored several signs that he was highly unstable. 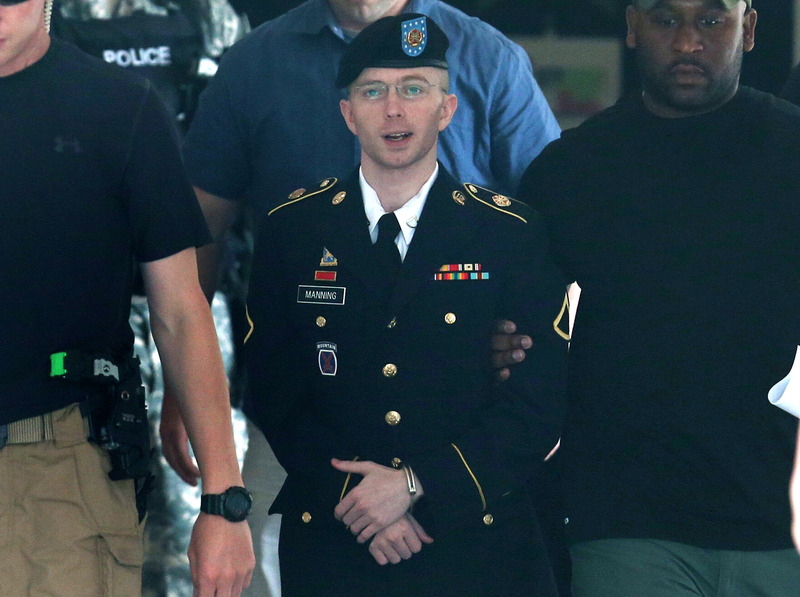 In an earlier trial, Manning was found guilty of espionage and other crimes related to his leaking of more than 700,000 secret government documents. Manning was found innocent of the very serious charge of "aiding the enemy" sparking a wave of diverse emotions. Manning faces a maximum of 90 years in prison for his crimes.